Nobel Prize-winning economist and liberty advocate Milton Friedman is often cited in support of the claim that open borders is incompatible with the modern welfare state. On this page, we explore what Friedman actually said and open borders advocates’ responses to his statements. Taking a closer look: what did Friedman actually say? Friedman’s comments have been cited by many restrictionists who want to argue against immigration based on the welfare objection. But his actual words paint a more nuanced picture. Immigration is a particularly difficult subject. There is no doubt that free and open immigration is the right policy in a libertarian state, but in a welfare state it is a different story: the supply of immigrants will become infinite. Your proposal that someone only be able to come for employment is a good one but it would not solve the problem completely. The real hitch is in denying social benefits to the immigrants who are here. That is very hard to do, much harder than you would think as we have found out in California. But nonetheless, we clearly want to move in the direction that you are talking about so this is a question of nitpicking, not of serious objection. Look, for example, at the obvious, immediate, practical example of illegal Mexican immigration. Now, that Mexican immigration, over the border, is a good thing. It’s a good thing for the illegal immigrants. It’s a good thing for the United States. It’s a good thing for the citizens of the country. But, it’s only good so long as it’s illegal. There is no question that Milton Friedman said that in the welfare society “illegal immigration” is precisely the kind of the immigration that the country needs. The xenophobes have turned his views inside-out. They will pay lip-service to legal immigration and damn illegal immigration. The fake libertarians, social conservatives, and racists try to make it sound as if Friedman was against illegal Mexican migrants. In reality he said that such immigration is “a good thing” for everybody concerned. And his reasoning is that this is the closest thing to pre-1914 immigration possible in today’s welfare state. Friedman says this is the paradox of government intervention that turns an illegal act into a beneficial one, while legal immigration is a potential problem. Notice that the groups that quote Friedman never quote his saying that illegal Mexican immigration is good. A similar point is made in Milton Friedman’s Argument for Illegal Immigration by Will Wilkinson on his personal blog. In a blog post titled A Note on My Anti-Anti-Immigration Argument, Donald Boudreaux notes that in private correspondence shortly before his death, Friedman claimed that he would advocate that the US return to open borders if the welfare state were dismantled. Open borders advocates have been generally critical of Friedman for not devoting enough attention to keyhole solutions and other halfway measures that could significantly liberalize migration while addressing concerns about incompatibility with the welfare state. A common criticism is that Friedman did not adequately consider immigration policies that would limit migrants’ access to welfare benefits. 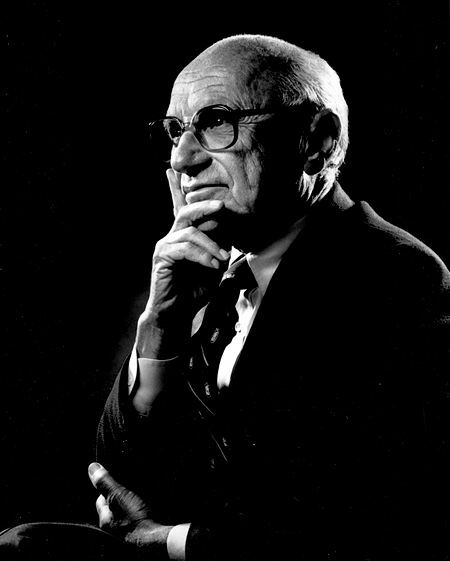 Milton Friedman Opposed a Pareto Improvement by Bryan Caplan, where he critiques Friedman for not having thought of keyhole solutions to the problems he identified. Caplan reiterates this point briefly when describing his personal journey to open borders. Milton Friedman and Immigration, Again by Donald Boudreaux, June 12, 2014, Cafe Hayek. What Would Milton Friedman Say? by Stephen Moore, Wall Street Journal, May 29, 2013, discusses how Friedman’s belief that the welfare state and immigration were incompatible did not mean he opposed immigration. Milton Friedman and open borders by John Lee, November 19, 2012, Open Borders: The Case, takes a closer look at Milton and Rose Friedman’s book Free to Choose and how migration fits in with their overall philosophy of freedom. Pingback: A livre imigração é uma bandeira da esquerda ou da direita? Friedman on immigration and the welfare state is licensed by Open Borders Admin under a Creative Commons Attribution 3.0 Unported License.